President Mahinda Rajapaksa, who is attending the first ever Asia Cooperation Dialogue (ACD) Summit in Kuwait, held bilateral discussions with several Asian leaders Tuesday and Wednesday at Bayan Palace on the sidelines of the Summit. 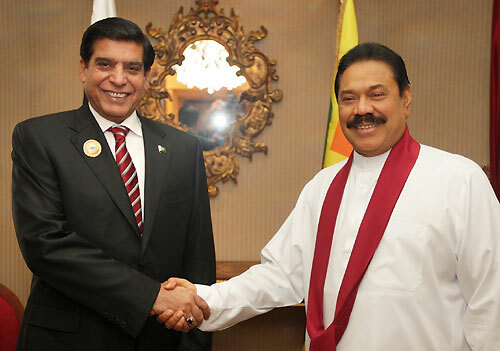 Among the leaders, President Rajapaksa met were Prime Minister of Pakistan Raja Pervez Ashraf, Prime Minister of Thailand Yingluck Shinawatra and Iranian President Mahmoud Ahmadinejad. Pakistani Premier has told the President that Pakistan desires to further deepen economic ties between the two countries and wishes to cooperate with Sri Lanka in all spheres including trade, education, health and culture. He has also expressed the hope that the modalities for utilization of $200 million credit line will be finalized soon. 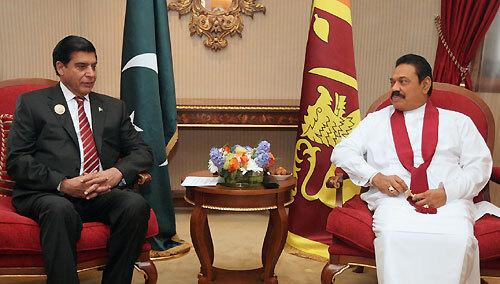 President Rajapaksa has told that Sri Lanka values Pakistan's support and hoped that Pakistani private sector would invest more after the restoration of peace in Sri Lanka. He further noted that Sri Lanka expects Pakistani businessmen to establish manufacturing units in the Pharmaceutical Zone in Kurunegala and invest in the booming tourist industry in the island. An agreement was reached to implement a bilateral programme for the promotion of the cement and sugar industries. During the meeting with Thailand Prime Minister Yingluck Shinawatra, the two leaders discussed with the intention of further strengthening bilateral relations, especially in trade, tourism and investment, as well as regional and multilateral issues. They also discussed the Sri Lanka Thailand Joint Commission meeting planned to be held in Sri Lanka next year. Development of the agricultural and fisheries industries and imparting Thai’s know-how and technology were among the many other topics that surfaced at the talks. 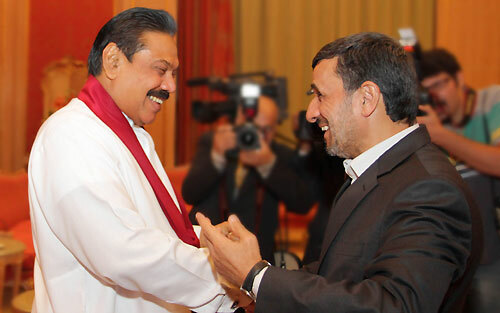 In separate meeting on the same day, President Rajapaksa also held bilateral talks with his Iranian counterpart Mahmoud Ahmadinejad on the sidelines of ACD Summit. Iranian President said that the enemies are seeking to create discord and conflict in the region but regional nations should prevent them from doing so through prudence. He said that regional problems should be resolved by regional countries without any foreign intervention. “There is no way for nations to resolve the problems and to build a better and more beautiful world other than cooperation,” Ahmadinejad stated. Commenting on the relations between Iran and Sri Lanka, Iranian leader emphasized the necessity to promote ties in all spheres and said that no power can put obstacle in the way of expanding bilateral relations. 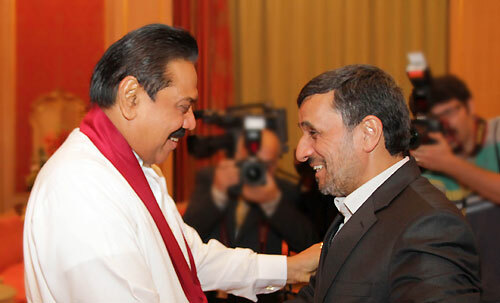 President Rajapaksa, for his part, reiterated Sri Lanka's determination for expanding ties with Iran, and called for the removal of obstacles and problems blocking the path of broadened cooperation between the two countries in different fields, specially the energy sector. Ministers and other officials of the respective governments also participated in these meetings.